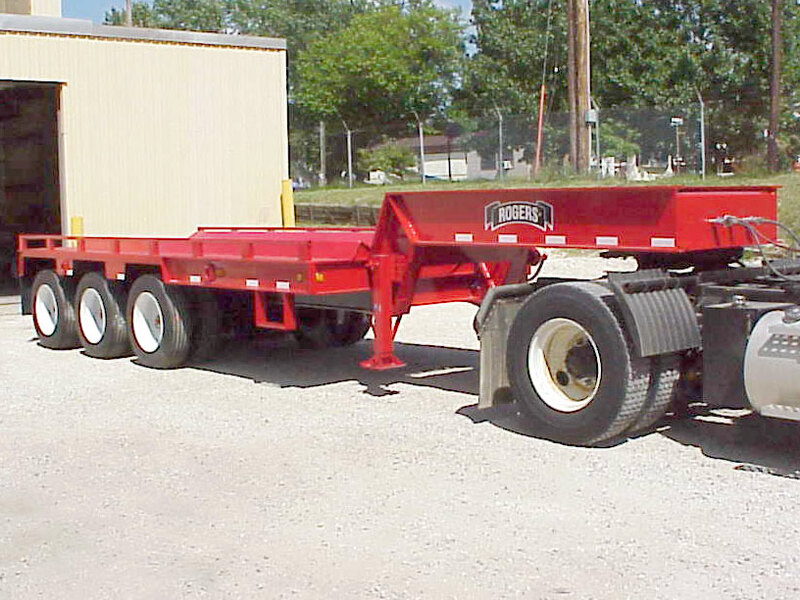 This 65-ton ROGERS fixed gooseneck trailer is designed to carry steel coils between processing areas of a steel mill. It has a 3-axle heavy-duty spring/walking beam suspension and large 275/70R H(16) tires. The deck contains a well designed to haul a variety of steel coil sizes positioned length-wise for efficient use of the space. The steel deck along the sides of the well enables the operator to easily access the coil(s). A safety step and side rails are installed to customer specification. Heavy-duty two-speed landing gear makes parking easier and has a higher static load capacity than standard pin-type legs.